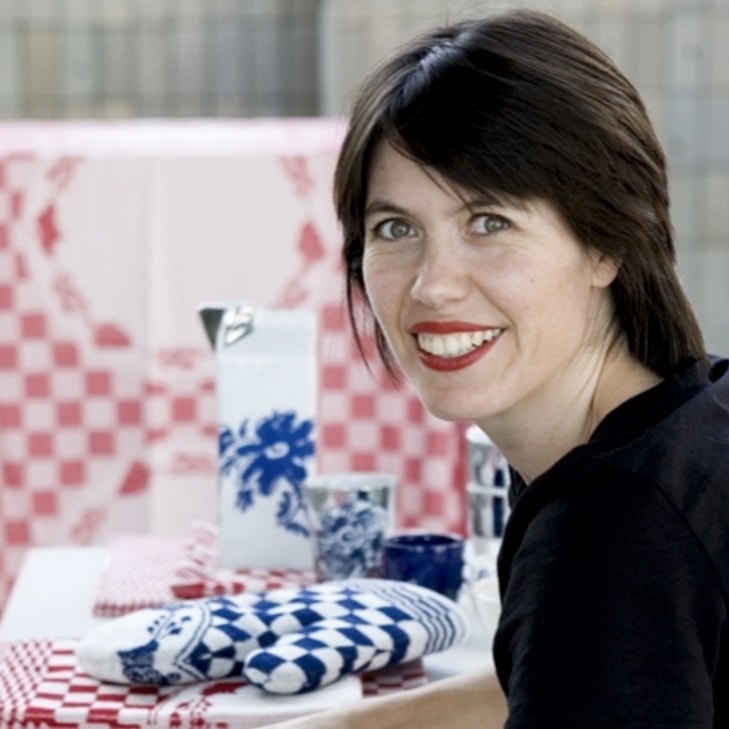 With the Paper Vase Cover by Pepe Heykoop you can make a contemporary designer vase. This paper vase cover, with a print featuring Winter Landscape with Skaters (Hendrick Avercamp, 1608), fits over almost any empty bottle. Thanks to the special pre-folded triangular structure you can create your own model. Also attractive as a composition with more than one paper vase modeled in different ways. A fair trade product with support from the Tiny Miracles Foundation which helps women in Mumbai, India to achieve financial independence. 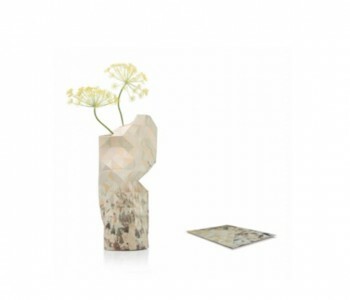 The Paper Vase Cover is made from coated recycled paper and is delivered in an attractive envelope in the same material. 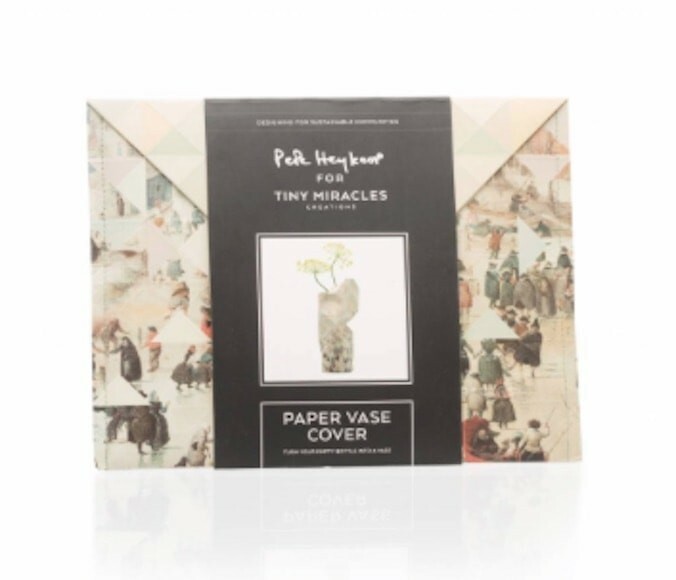 The Paper Vase Cover doesn't get wet during use so it can be reused again. Available with prints of canal houses, Delft Blue, Winter Landscape with Skaters by Avercamp, Van Gogh's Sunflowers and Almond Blossom, and Vermeer's Milkmaid. 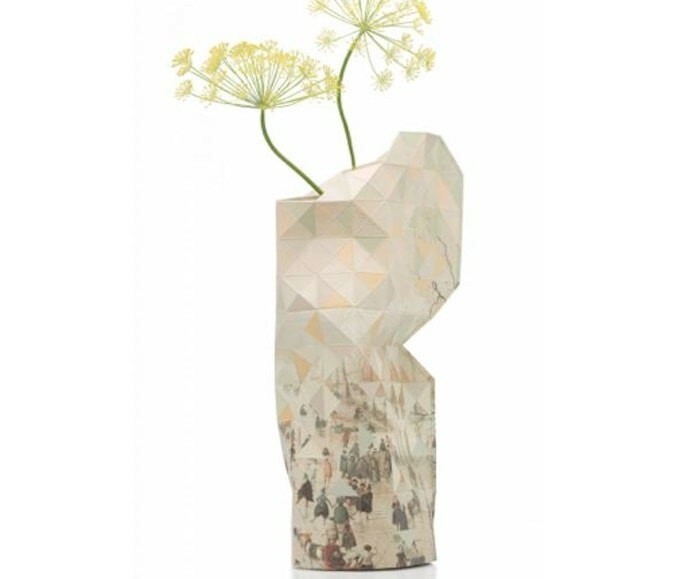 Paper Vase Covers are also available in white, black and silver and in 3 colours printed in a beautiful color gradient: grey, green, and red.